The Fight To End Cancer (FTEC) is honoured to once again count on the support of Eagle Professional Resources, Canada’s leading professional staffing company, as one of our our top-tier partners. 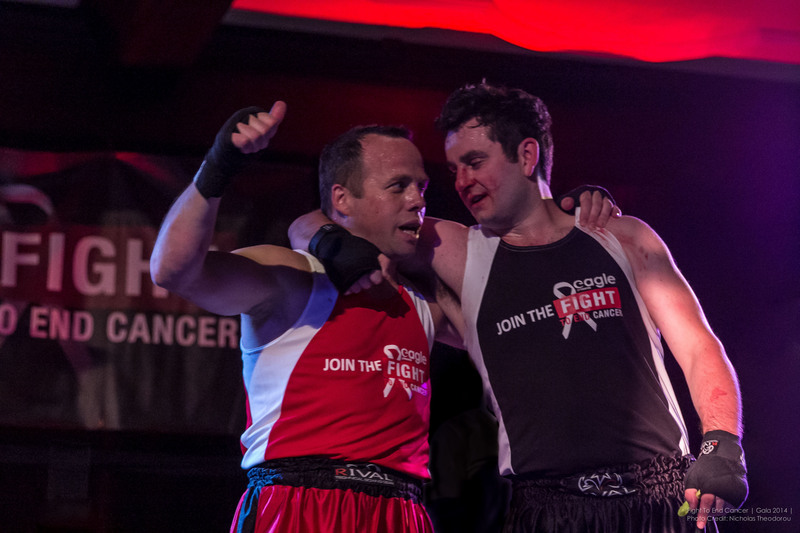 Left To Right: Brendhan Malone and Shane Lewis-Stirling after Brendhan’s Victory in the Fight To End Cancer 2014. This will be the fourth time welcoming Eagle as an Official Partner for our Gala. Stepping things up in 2014, Eagle chose to become FTEC’s Lead Partner when Eagle’s own, Brendhan Malone, stepped into the ring to fight. Since then, Eagle has consistently returned as a major sponsor for the Fight To End Cancer and we are truly grateful for their ongoing support. The relationship between FTEC and Eagle goes even further back then in 2014. They have been an incredible support system to FTEC, right from the beginning. Since day one, Eagle has been in attendance cheering on the courageous fighters who step into the ring and have helped spread the word about our event and the important cause that it is helping to raise funds for. Eagle Professional Resources is owned and run by Kevin Dee; a long time believer in the importance of literally fighting to find a cure for cancer. Prior to his and Eagle’s attendance at the inaugural FTEC gala; Kevin was preparing diligently for his own boxing bout against cancer when he took part as a fighter at the Fight for the Cure event held in Ottawa, in 2011. It is through the ongoing support of our fantastic sponsors that Fight To End Cancer continues to be as successful as it is. A big thank you to Kevin Dee and the entire Eagle Professional Resources team!